The independent commission tasked with examining the Department of Veterans Affairs network of medical facilities will call for more private options in the government’s provision of health care to veterans and the formation of a new board of directors to oversee a ‘far-reaching’ transformation of the system. The Commission on Care, established by Congress after the secret wait list controversy two years ago, has outlined 18 recommendations to fix the VA’s "deep problems" in a lengthy final report to President Obama and VA Secretary Robert McDonald that was obtained by the Washington Free Beacon. Though the report, which the agency is expected to publicly release on Wednesday, demands "fundamental, dramatic change" at the VA, some commission members still do not believe that the recommendations are aggressive enough to fix rampant flaws at VA hospitals nationwide. The commission has been soliciting testimony for months, conducting on-site visits to VA facilities, and reviewing the details of an agency-commissioned independent assessment issued last September that found the VA’s network of hospitals to be deeply flawed and in need of "system-wide reworking." The commission found problems associated with veterans’ access to health care to be the "most public and glaring deficiency" at VA hospitals and recommended that the Veterans Health Administration (VHA) establish a system that further integrates private health care providers—called the "VHA Care System"—to ensure veterans swiftly obtain care that suits them. The new system would replace the Choice Program established by Congress in 2014, which allows veterans waiting long periods for appointments or living far from VA hospitals to seek care at medical facilities outside the VA. The VHA Care System would be comprised of VA providers and facilities, federally funded providers and facilities like those supported by the Defense Department, and VA-credentialed community providers and facilities. The proposed system would give veterans more choice in selecting their providers and would eliminate the wait time and distance criteria established under the current program. Patients would choose their primary and specialty care providers from providers in the system and would be able to seek care at any VHA Care System location across the country, in coordination with their primary care provider. Additionally, the commission recommended that a board of directors be formed to govern the new VHA Care System, set long-term strategy goals, and implement and oversee the transformation of the VA’s hospital network. The proposed 11-member board would be established by Congress and accountable to the president. "The Commission believes VHA must institute a far-reaching transformation of both its care delivery system and the management processes supporting it. Changes of the magnitude facing VHA would be difficult for any health care system to achieve. A transformation will take years to accomplish and must be sustained over time," the commission’s final report states. "Yet the short tenure of senior political appointees, each administration’s expectations for short-term results, and VHA’s operating in a ‘dynamic environment [in which it is] answering to a large number of stakeholders, sometimes with competing demands’ offer little reason for optimism that real transformation could take hold without fundamental changes in governance." The commission also called for the creation of an independent body modeled after the Defense Department’s Base Realignment and Closure Commission to sell or repurpose underused VA facilities. Other recommendations were directed at recruiting talented hospital personnel, transforming VHA’s organization and management processes, reforming regulations governing who is eligible for care, and fixing VA information technology. Some dissenting members of the panel do not believe that the recommendations go far enough to overhaul VA’s network of medical facilities. Twelve of the 15 commissioners signed the final report. Two commissioners wrote in a letter of dissent that the ultimate recommendations of the commission fell "far short of what is needed" to transform veterans’ health care to improve quality, access, choice, and the well-being of American veterans. The letter, also obtained by the Free Beacon, was excluded from the final report. "The Commission’s final report is largely a hodgepodge of perfunctory recommendations that, while well-meaning, will do little to redirect the VHA’s troubled trajectory. 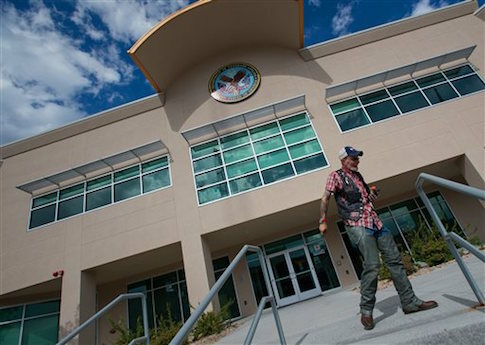 The central problem is that these recommendations focus primarily on fixing the existing VHA provider operations, rather than boldly transforming the overall veterans’ health care system," wrote commissioners Stewart Hickey, former national executive director for AMVETS, and Darin Selnick, senior veterans affairs adviser for Concerned Veterans for America. They credited some of the recommendations, including the proposals to establish a board of directors to oversee the transformation process and expand veterans’ health care choices, and urged Congress to implement them. "Unfortunately, the rest of the recommendations, even if implemented carefully and with the appropriate oversight, will not transform and reinvent the VHA into the high-performing health care organization it needs to become, with the veteran’s needs at the center of its mission," Hickey and Selnick wrote. "Rather than setting that increasingly antiquated institution on a course for transformation, the Commission on Care’s proposals will only superficially and temporarily move VHA out of its current state of dysfunction. That failure is a lost opportunity," they wrote. Hickey and Selnick argued that the commission should have considered expanding multiple private-sector choice options for veterans rather than allowing them to seek care only through networks managed by the VA, in addition to other proposals that would have been more transformative. "Overall, this report is correct in asserting that the VHA needs transformation; but it fails to serve as a useful guide and roadmap to achieve that transformation," they wrote. The commission was established to develop recommendations for how to fix VA health care through the Veterans Access, Choice, and Accountability Act of 2014, which was signed into law by President Obama after VA staffers were found keeping secret lists to hide veterans’ long wait times for care. The practice resulted in dozens of veterans dying while waiting for appointments. Since the controversy, the VA has been scrutinized for flawed care, employee misconduct, and persisting waits. This has fueled reform efforts in Congress—including those to offer veterans more choices to receive care in the private sector and hold employees accountable for poor performance or misconduct—which have been met with resistance from VA leaders and the Obama administration. By law, the Obama administration must implement recommendations contained in the commission’s final report that are "feasible and advisable" and seek legislative action from Congress where necessary. "In employing the term transformation, the Commission means fundamental, dramatic change—change that requires new direction, new investment, and profound reengineering," the commission’s final report concludes. "Some will question that view, and perhaps challenge the notion that the nation should invest further in the VA health care system." The VA did not respond to a request for comment about the commission’s recommendations by press time. Update 12:52 p.m.: A previous version of this article identified Hickey as the national executive director for AMVETS. He is the former national executive director.